Have you ever been perplexed as to what to give family members, friends, colleagues or teachers for special occasions, birthdays, or during the holiday season? Making a gift to SOUTH AFRICAN WOMEN FOR WOMEN (SAWW) in a friend, colleague or family members name is a unique and meaningful way to celebrate holidays and other special occasions – from the birth of a child to a wedding or anniversary. SAWW Gift of Dreams cards (pictured below) make a great gift for anyone, anytime! Also, consider asking friends and family to make a donation in honor of your next special day. SAWW, Gift of Dreams, 24 Woodrow Avenue, Toronto, Ontario, M4C 4S2, Canada. • Please make cheques payable to “South African Women for Women”. • On receipt of payment the cards and envelopes will be mailed to you for forwarding. • The minimum donation is CAD$10-00 per card. SAWW's Gift of Dreams is a different way of giving – one that helps others and can save lives. Here's how it works. “ A Gift of Dreams in your name has been sent to South African Women for Women with best wishes from.…" You can then insert a personal message and forward the card to the recipient . 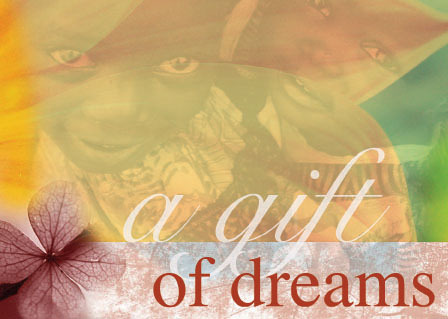 The card also contains a line to inform the recipient that your generous support of the SAWW Gift of Dreams program will assist disadvantaged South African women and children to live their dreams through the education, scholarship and healthcare initiatives of South African Women for Women.